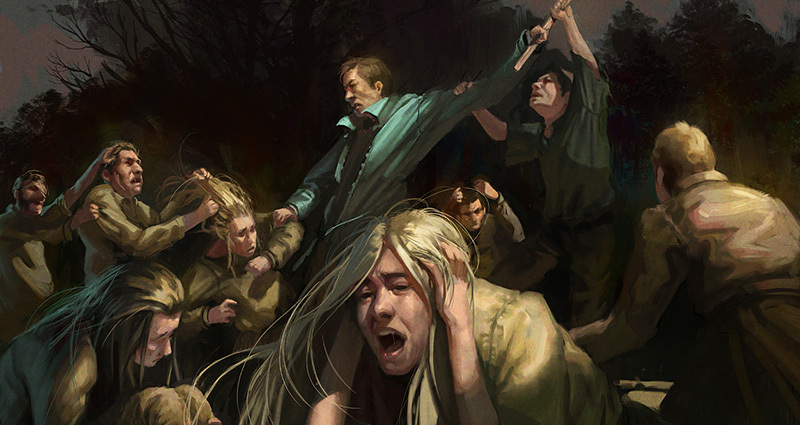 Up on Kickstarter today, Alec Nezin’s Forsaken Forest is a new twist on the social deduction genre. 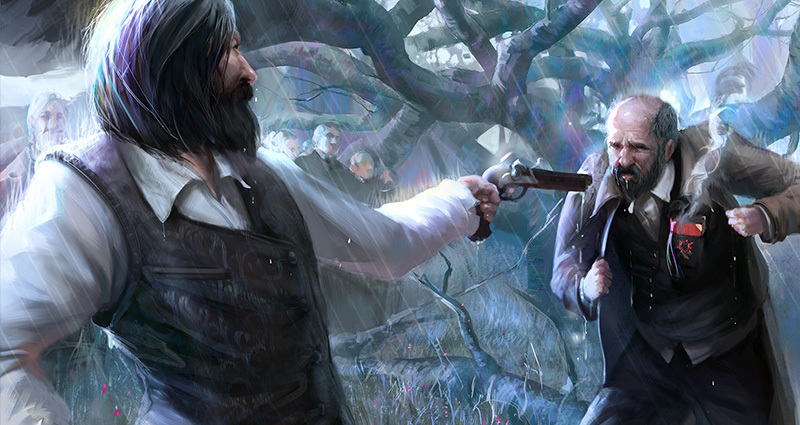 The game is a tense battle between the Villagers and the Forsaken and with their roles a closely kept secret, it will take some strategic thinking to suss out your enemies. Adding complexity to what is usually a rules-light roleplaying experience is intriguing and I wanted to know more, so I spoke with Alec to get a better understanding of Forsaken Forest. Jess: There are many hidden role games on the market right now, what makes Forsaken Forest unique? Alec: Social deduction started with Mafia and Werewolf. In terms of gameplay, these games are extremely talking/arguing heavy. There is simply no information to go off besides intuition and social cues. As the social deduction genre has evolved, more and more decision making mechanics have been included in recent iterations. Talking is fun, but often social deduction games don’t feel like a game. 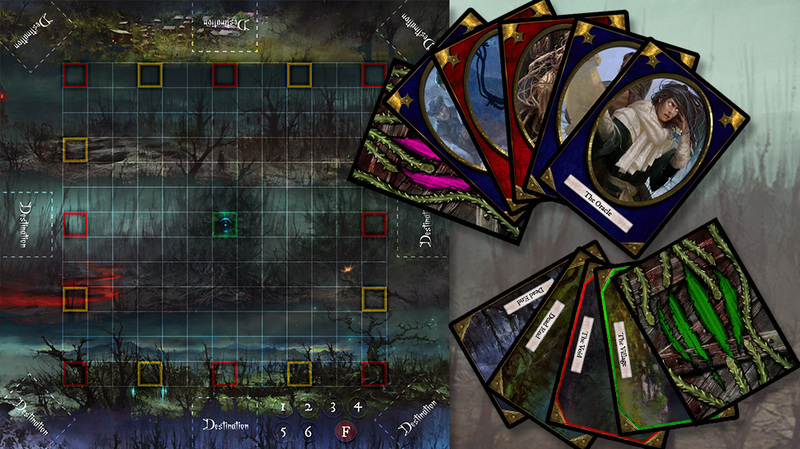 Forsaken Forest adds: A Game Board and the Destinations Mechanic: an objective other than elimination. If either team successful navigates to *their* Destination (all of which are face-down during the span of the game) then that team instantly wins. This gives players the option to focus on interrogation, or navigation in order to win the game. The fact that there is something else going, other than just talking (a lot more, but we’ll get to that), gives the game more depth in terms of conversation. It’s not just a he-said-she-said battle royale. Strategy – The Travelers Deck is a unified deck of 150 cards that each player draws from (three to start and one on each of their turns). This deck is the real game changer to the genre. 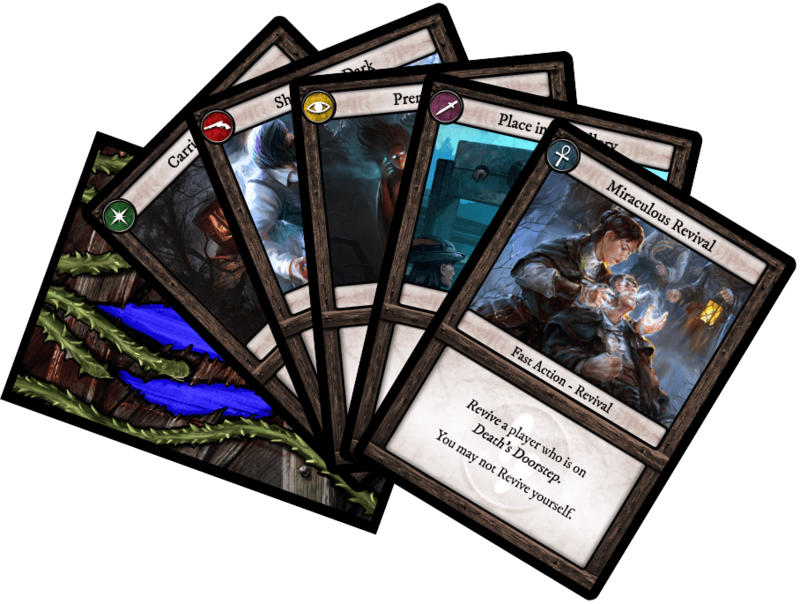 In it are approximately 40 unique cards – all of which have very different roles in advancing one’s game plan. Did I mention that the Forest plays as its own character? 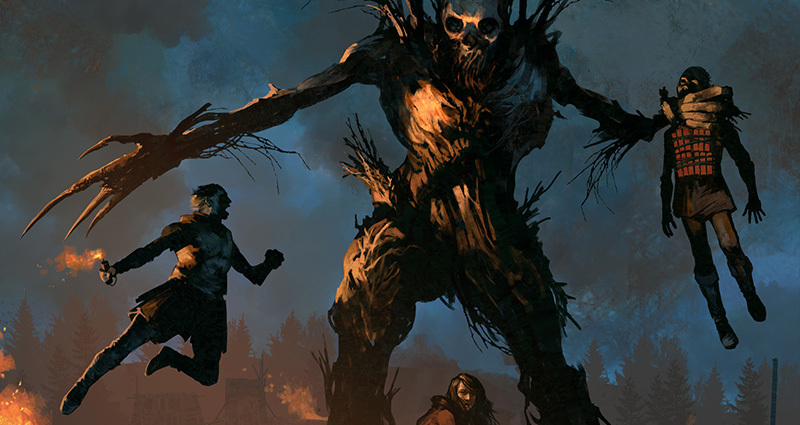 Every six turns, the Forest flips the top card of the Forest Deck into play for a nasty surprise. This is the means by which the group goes to Night! All of these factors make each game wildly different from one another, add a ton of complexity, give players much more control over their fate, and add a lot of modularity to the game. This game is a strategist’s dream, with so many opportunities to derive information from plays, but also bluff. 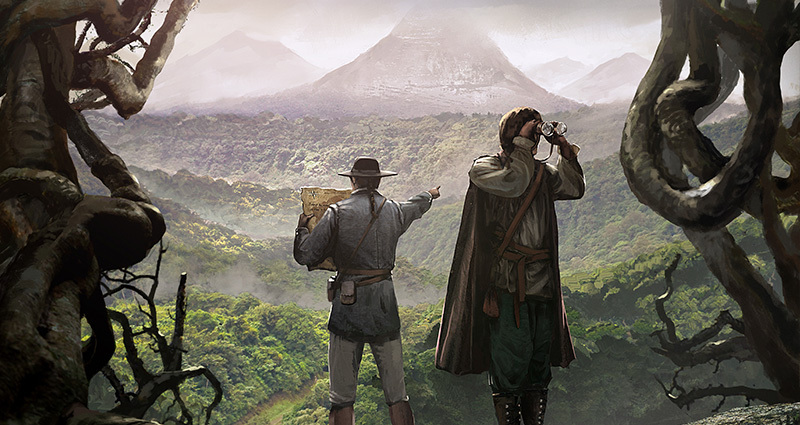 There is also a ton of design space for many expansions – new Roles, Destinations, Travelers Deck Cards and Forest Cards. Jess: That does sound like a lot more game that many of these other social deduction games offer. Forsaken Forest looks pretty dark. What is the overall feel you want players to experience with your game? Alec: Utter paranoia and terror, mixed with Machiavellian mischief. Jess: Perfect for a social deduction game! So, this looks like your first foray into game design. What made you jump from playing games to creating them and what experience do you bring to the table? Alec: I’m a lifelong Magic: the Gathering player (Over 20 years now! ), and a social deduction enthusiast, I’ve always loved both competitive and social games a little too much. From casual games of Werewolf to competing on the Magic: the Gathering Pro Tour, I take it all just as seriously. My day job is that of Senior Data Analyst for the leading provider of Digital Games research and insights, SuperData Research. My life has always revolved around games, and I plan on continuing the trend. My progression through life has been: game enthusiast —> game pro —> game analyst —> game designer. Jess: The art team looks pretty incredible and the style is very consistent, how did you bring them together on this project and maintain the overall look considering there are so many artists? Alec: My favorite aspect of game design is Universe building! I put a huge emphasis on the art when designing the actual gameplay and mechanics of Forsaken Forest. I design from the story down – there’s some very deep lore to this tale, and I believe that in creating the backstory, I was able to better design the actual cards. Setting, mood, and narrative are three things that I believe are essential to immersion within a game. I give extremely detailed art direction when I pass off a piece to my artists. Everything from the setting, characters, landscape, mood, perspective, lighting, colors, placement, and even backstory. 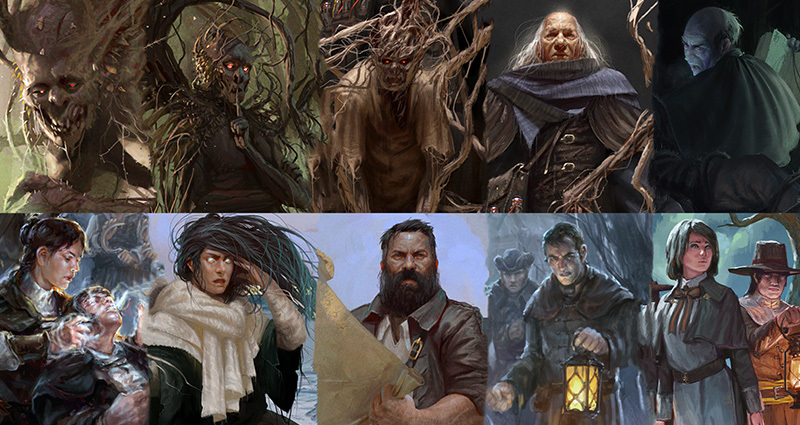 Forsaken Forest’s amazing art was created by a team of 10 amazing Artists, whose notoriety range from up-and-coming, to industry professional. I worked with three Magic: the Gathering artists – I actually had one particular artist in mind (to do the whole thing) when I came up with the idea, but he couldn’t fit it into his schedule. My lead artist is moving on from freelancing to work at one of the top 5 CCG’s in a few months. Jess: Do you have plans for more games in the future? Will we see more out of Forsaken Games? Alec: I have tons of ideas – I was actually casually brewing up a game that was pretty similar to Werewords before it was released. I definitely want to stick with Forsaken Forest, because of how much room it has to grow and add expansion after expansion. I’m actually working on the next set already! I may be a little optimistic that the base set isn’t going to flop – branches crossed. Thanks so much for having me! 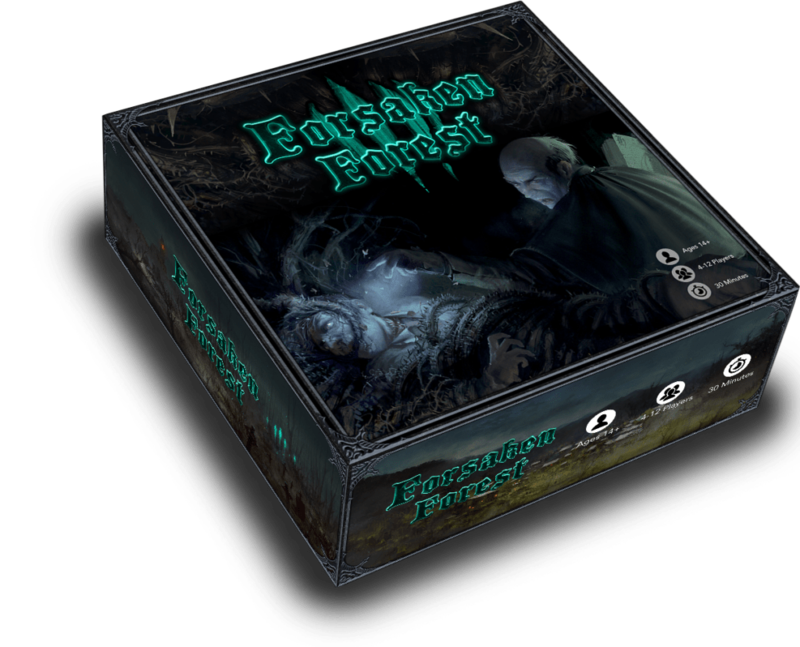 Forsaken Forest is going live today! Check out the Kickstarter here and make sure to check out the official page at: ForsakenForest.com.